The most affordable OC motherboard! From now on, amazing performance becomes available on affordable motherboards. In addition to the development of high-end overclocking motherboards that set world record in performance, the LANParty team has recently committed to a research program called “top performance at affordable prices”, allowing more consumers to enjoy low-price yet high-performance motherboards. The BI P45-T2(R)S Elite family is the first wave of the “top performance at affordable prices” series. High-end hardware layouts, excellent BIOS design, and ex-factory overclocking stress test are totally migrated to the product. With the price under USD $110, it can surprisingly challenge $150-level products in terms of performance. 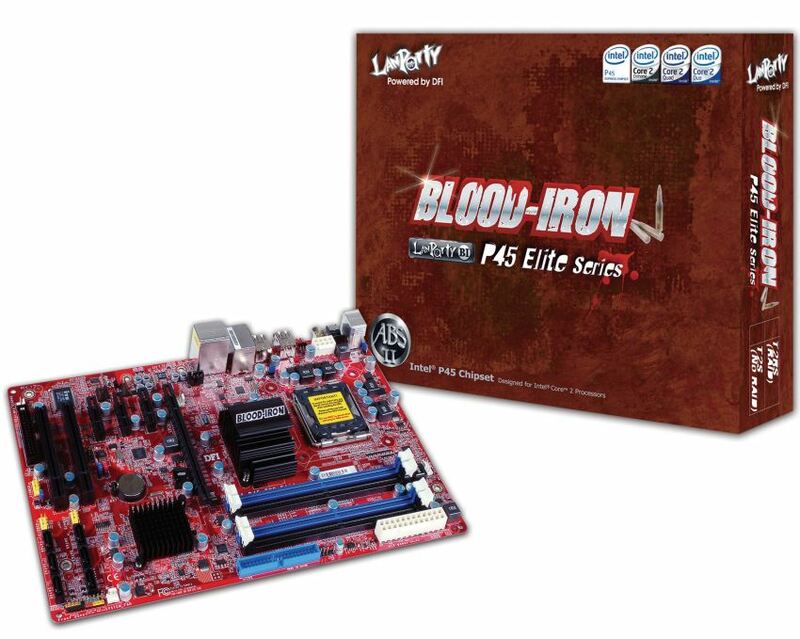 Based on Intel P45 chipsets, the BI P45-T2(R)S Elite family is compatible with LGA775 CPU. The 600MHz bus speed outperforms other products in the same price range. Moreover, the “Amateur mode” is also introduced to the BIOS options. With the simplified options in the amateur mode, users looking for stability can finish the setup in minutes. Meanwhile, the overclocking users can simply press the F9 hot key to switch to the “Expert mode” and pursue superior performance. The product helps users save money not only on motherboards but also on CPU. Through ABS II auto overclocking technology, all CPUs can be upgraded automatically. In other words, users who choose the BI P45-T2(R)S Elite can enjoy the performance of high-end CPUs with the cost of low-end CPUs. With strict O.C. test, the BI P45-T2(R)S Elite guarantees the operation stability under the normal frequency. It is absolutely the best choice for DIY users as an entry-level system. For users who want to practice overclocking skills but don’t have enough budgets, the BI P45-T2(R)S Elite is definitely a stepping stone to the overclocking world. ABS II ~ The CPU upgrading technology! DFI ABS II technology upgrade your CPU automatically without press any key! The overclocking file will execute & save into firmware when turn on the PC first time. With ABS II, anyone buying a DFI motherboard from the Blood Iron, Junior or Dark series, regardless of their overclocking skills, can enjoy increased performance from their current components by default. 8. One PCI Express x16 slot for graphics card; 6 SATA II connectors. DFI manufactures full series high-tech mainboards and products for special platforms to meet the demands of PC market and special application market. We also cooperate with Intel and top chip manufacturers to develop up-to-date chips and mainboards. LanParty is an over-clocking mainboard brand of DFI, which satisfies the customers that require high efficiency with top grade materials and excellent design.